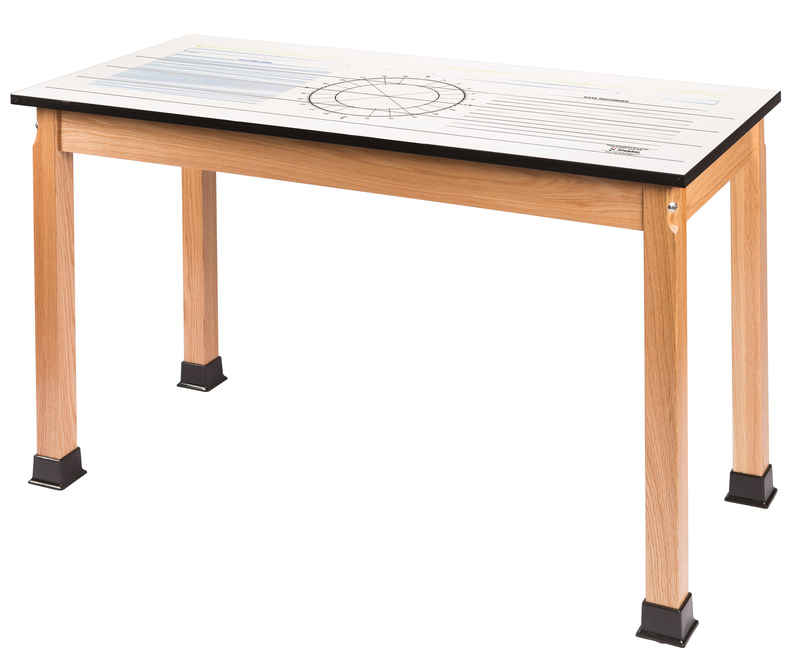 Sturdy and adaptable, the Four-Legged Table lets groups of students work together on a single, hands-on project. C-clamp upright rods and other fixtures can be attached and removed easily, adding to the uses of this flexible product. Table legs are solid hardwood and secured to table top with thru-bolt corner braces. Imprint top is write-erasable and includes linear scales, grids and squares, diagonals, circles, protractors; it is practically everything your students need for measuring, making graphs, charts and recording results. 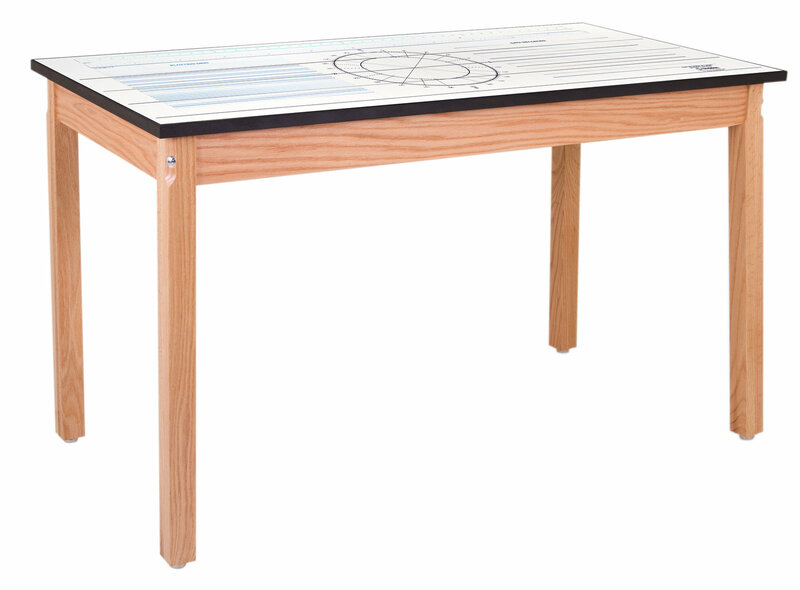 Tables come in four different sizes, as shown below.